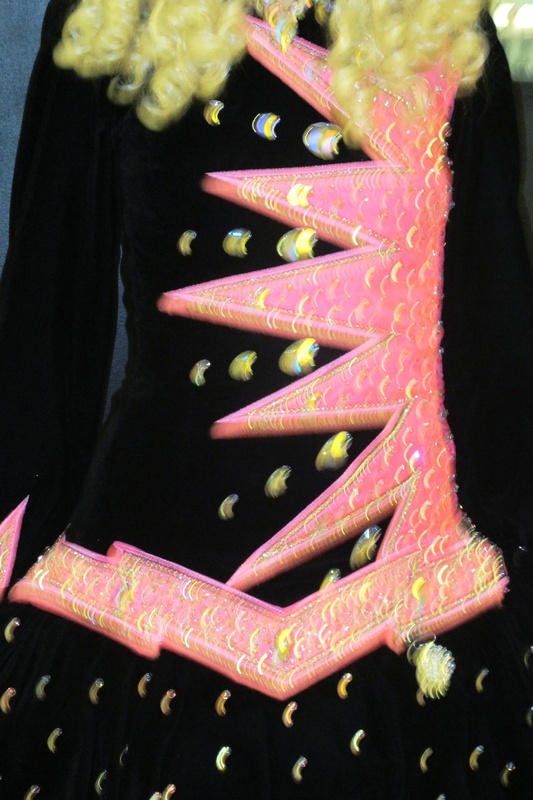 Amazing stage appeal, worn by u16 open champ dancer for the past 16 months, in excellent condition, comes with black bloomers and black velvet/crystal headband, from a non smoking house. Dancer was 5′5 at time it was made, a size 0 in street clothes, the highlighter pink is fabulous on small and large stages. Shipping incl in US only, returns can be discussed.